I had some extra Kabocha squash (Japanese pumpkin) leftover from making my Creamy Kabocha Squash Risotto and so I went on the handy ingredient search engine on AllRecipes.com to figure out what to do with it. 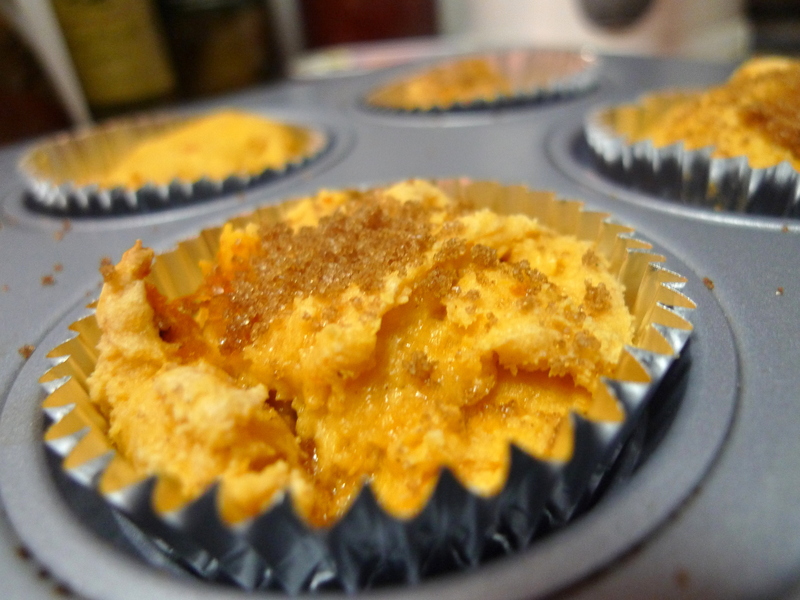 I essentially had pumpkin puree leftover and an initial search resulted in many recipes for pumpkin pies, pumpkin smoothies, pumkin lattes, etc. However, I wanted to find the recipe that would not require buying additional ingredients at the store and so I settled on the first recipe that required the fewest number of ingredients. This recipe is so simple and quick, as pretty much all the work is done for you — the main ingredient besides pumpkin puree is yellow cake mix. 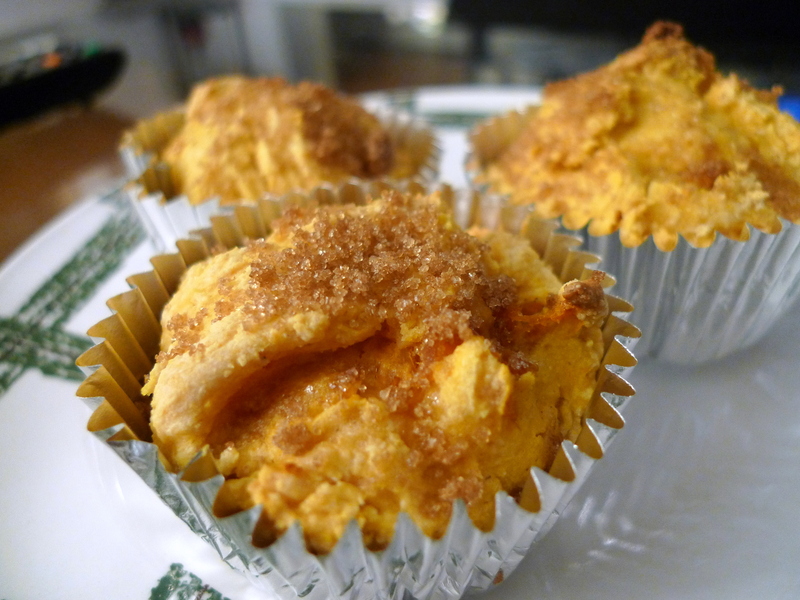 You really only need cake mix and pumpkin puree for this recipe; and while it may seem weird to not use any vegetable oil or eggs, trust me — the muffins will turn out perfectly moist even without it. I was pretty skeptical as I mixed the dense drop biscuit dough-like batter, and I was even more so when the finished muffin tops came out of the oven all lumpy… but the taste was absolutely delicious! Because the mixture is so thick and dense, you won’t get a rounded, smooth surface like you do for cupcakes. However, you can sprinkle some brown sugar on the top and it definitely adds to the aesthetic! Preheat the oven to 350°F. 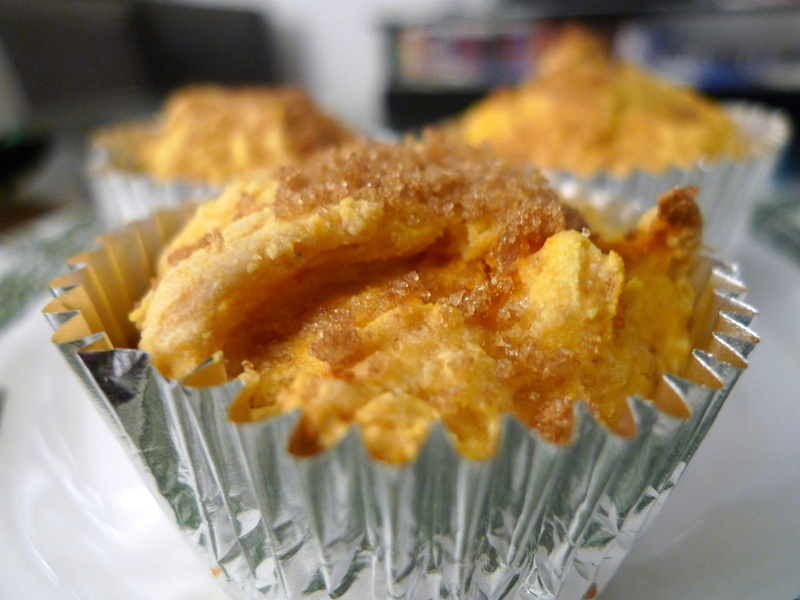 Grease a 12 cup muffin pan or line with cupcake liners. 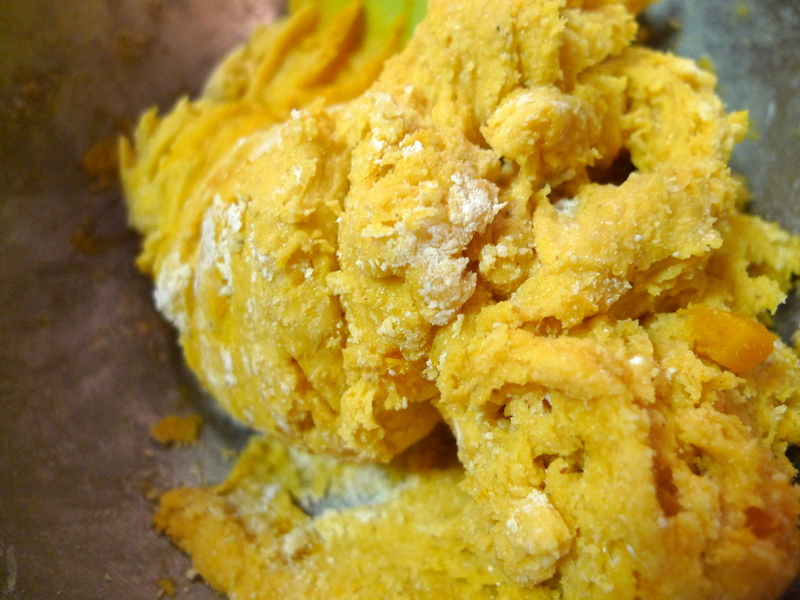 In a large bowl, mix together the cake mix, pumpkin puree, cinnamon, nutmeg and cloves until smooth. 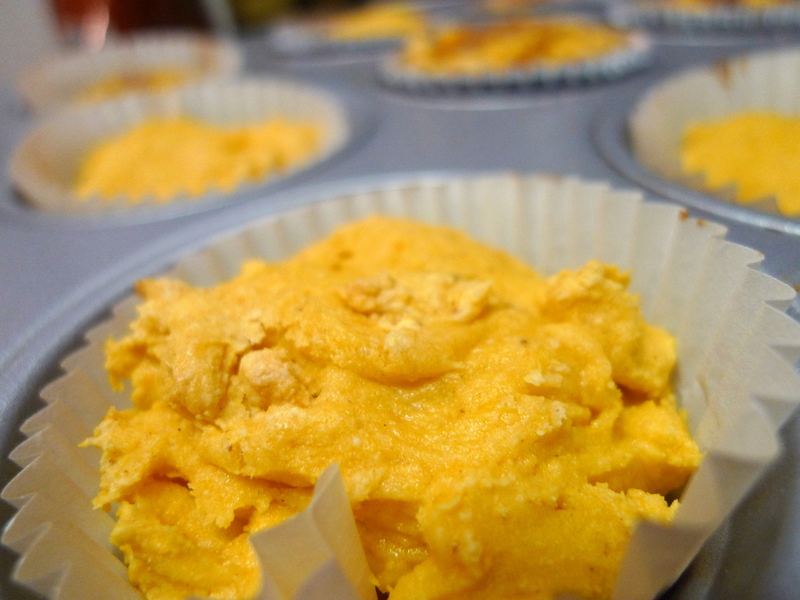 Spoon equal amounts of batter into the prepared muffin cups. Optional: sprinkle some brown sugar on top of each muffin. Bake for 20 to 25 minutes in the preheated oven, until a toothpick inserted in the center of one comes out clean.